Each year Lakeview PTSA gives out the Golden Acorn Award to recognize a volunteer who has given outstanding service to ALL children in the school community. 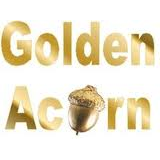 See the list of past Golden Acorn Recipients at Lakeview. The Golden Acorn Award winner receives a gold pin and a special certificate. A contribution is made to the Washington State PTA Financial Grant Program in their name. This program provides grants to Washington State high school graduates entering their freshman year in college or vocational school. There is no better way to thank a favorite volunteer than to nominate them for our annual PTSA award. We welcome nominations from students, parents, teachers and any members of the community. It may seem like a small thing but just being nominated is a huge honor. This year’s recipient will be honored at the Volunteer Tea on May 23, 2019. Please submit your nominations by Friday, May 3, 2019. If you have any questions please contact Sarah Rock.